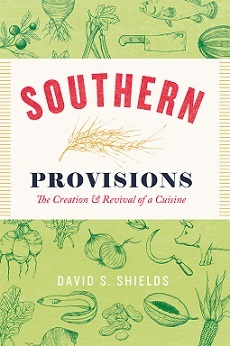 An excerpt from Southern Provisions: The Creation and Revival of a Cuisine by David S. Shields *** Rebooting a Cuisine “I want to bring back Carolina Gold rice. I want there to be authentic Lowcountry cuisine again. Not the local branch of southern cooking incorporated.” That was Glenn Roberts in 2003 during the waning hours of a conference in Charleston exploring “ The Cuisines of the Lowcountry and the Caribbean.” When Jeffrey Pilcher, Nathalie Dupree, Marion Sullivan, Robert Lukey, and I brainstormed this meeting into shape over 2002, we paid scant attention to the word cuisine.1 I’m sure we all thought that it meant something like “a repertoire of refined dishes that inspired respect among the broad public interested in food.” We probably chose “cuisines” rather than “foodways” or “cookery” for the title because its associations with artistry would give it more splendor in the eyes of the two institutions—the College of Charleston and Johnson & Wales University—footing the administrative costs of the event. 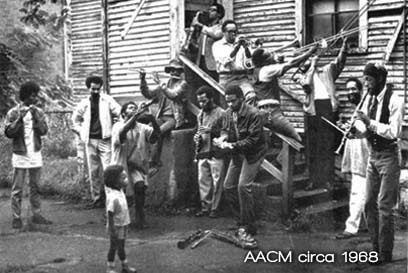 Our foremost concern was to bring three communities of people into conversation: culinary historians, chefs, and provisioners (i.e., farmers and fishermen) who produced the food cooked along the southern Atlantic coast and in the West Indies. Theorizing cuisine . . . 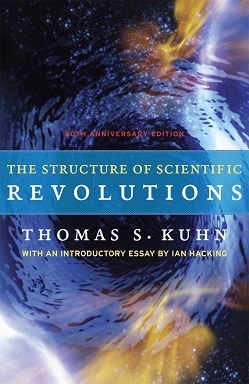 In his sixth pick for the social network’s online book club (“A Year of Books”), Facebook founder Mark Zuckerberg recently drafted Thomas Kuhn’s The Structure of Scientific Revolutions, a 52-year-old book still considered one of the most often cited academic resources of all time, and one of the crowning gems of twentieth-century scholarly publishing. Following in the footsteps of Pixar founder Ed Catmull’s Creativity, Inc., as Zuckerberg’s most recent pick, Structure will be the subject of a Facebook thread with open commenting, for the next two weeks, in line with the guidelines advanced by “A Year of Books.” If you’re thinking about reading along, the 50th Anniversary Edition includes a an equally compelling Introduction by Ian Hacking that situates the book’s legacy, both in terms of its contribution to a scientific vernacular (“paradigm shifting”) and its value as a scholarly publication of mass appeal (“paradigm shifting”). 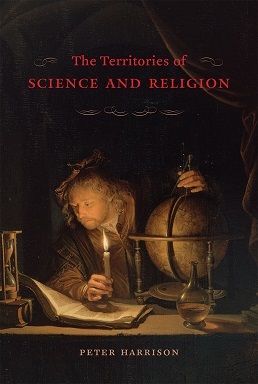 Or, in Zuckerberg’s own words: It’s a history of science book that explores the question of whether science and technology make consistent forward progress or whether progress comes in bursts related to other social forces. I tend to think that science is a consistent force for good in the world. I think we’d all be better off if we invested more . . .
Excerpt: Who Freed the Slaves? An excerpt from Who Freed the Slaves? 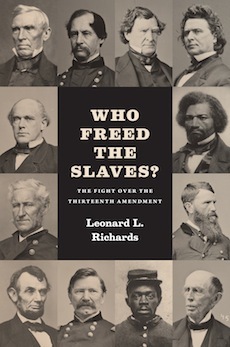 : The Fight over the Thirteenth Amendment by Leonard L. Richards *** Prologue WEDNESDAY, JUNE 15, 1864 James Ashley never forgot the moment. After hours of debate, Schuyler Colfax, the Speaker of the House of Representatives, had finally gaveled the 159 House members to take their seats and get ready to vote. Most of the members were waving a fan of some sort, but none of the fans did much good. Heat and humidity had turned the nation’s capitol into a sauna. Equally bad was the stench that emanated from Washington’s back alleys, nearby swamps, and the twenty-one hospitals in and about the city, which now housed over twenty thousand wounded and dying soldiers. Worse yet was the news from the front lines. According to some reports, the Union army had lost seven thousand men in less than thirty minutes at Cold Harbor. The commanding general, Ulysses S. Grant, had been deemed a “fumbling butcher.” Nearly everyone around Ashley was impatient, cranky, and miserable. But Ashley was especially downcast. It was his job to get Senate Joint Resolution Number 16, a constitutional amendment to outlaw slavery in the United States, through the House of Representatives, . . . 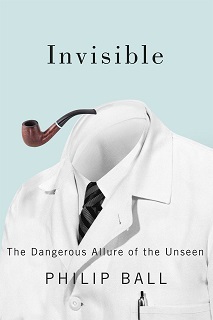 Recipes for Invisibility, an excerpt from Invisible: The Dangerous History of the Unseen by Philip Ball *** “Occult Forces” Around 1680 the English writer John Aubrey recorded a spell of invisibility that seems plucked from a (particularly grim) fairy tale. On a Wednesday morning before sunrise, one must bury the severed head of a man who has committed suicide, along with seven black beans. Water the beans for seven days with good brandy, after which a spirit will appear to tend the beans and the buried head. The next day the beans will sprout, and you must persuade a small g irl to pick and shell them. One of these beans, placed in the mouth, will make you invisible. This was tried, Aubrey says, by two Jewish merchants in London, who could’t acquire the head of a suicide victim and so used instead that of a poor cat killed ritualistically. They planted it with the beans in the garden of a gentleman named Wyld Clark, with his permission. Aubrey’s deadpan relish at the bathetic outcome suggests he was sceptical all along– for he explains that Clark’s rooster dug up the beans and ate them without consequence. Despite the risk of such . . .
Below follows a well-contextualized teaser, or a clue (depending on your penchant for genre), from Sharon Wheeler’s full-length review of Blood Runs Green: The Murder that Transfixed Gilded Age Chicago at Inside Higher Ed. 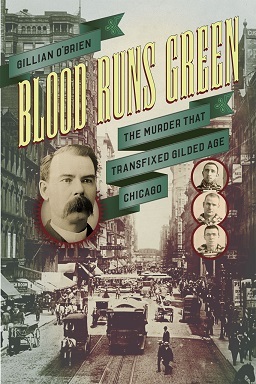 Blood Runs Green is that rarer beast—academic research in the guise of a true crime account. But it leaps off the page like the best fictional murder mystery. Mind you, any author presenting these characters to a publisher under the banner of a novel would probably be sent away to rein in their over-fertile imagination. As Gillian O’Brien says: “The story had everything an editor could want: conspiracy, theft, dynamite, betrayal, and murder.” So this is far more than just a racy account of a murder in 1880s Chicago, a city built by the Irish, so the boast goes (by the late 1880s, 17 per cent of its population was Irish or Irish-American). At the book’s core is the story of Irish immigrants in the US, and the fight for Irish independence through the secret republican society Clan na Gael. In England, and running parallel to events in America, is the saga of Charles Stewart Parnell, a British MP and leading figure in the Home Rule movement. Who . 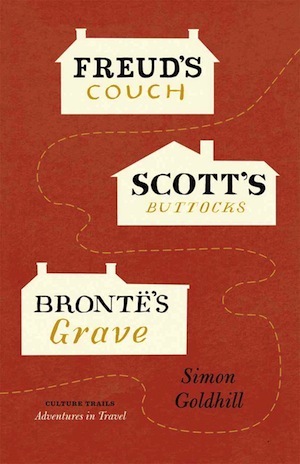 . .
Our free e-book for March is Freud’s Couch, Scott’s Buttocks, Brontë’s Grave by Simon Goldhill. Read more and download your copy below. *** The Victorian era was the high point of literary tourism. Writers such as Charles Dickens, George Eliot, and Sir Walter Scott became celebrities, and readers trekked far and wide for a glimpse of the places where their heroes wrote and thought, walked and talked. Even Shakespeare was roped in, as Victorian entrepreneurs transformed quiet Stratford-upon-Avon into a combination shrine and tourist trap. Stratford continues to lure the tourists today, as do many other sites of literary pilgrimage throughout Britain. And our modern age could have no better guide to such places than Simon Goldhill. In Freud’s Couch, Scott’s Buttocks, Brontë’s Grave, Goldhill makes a pilgrimage to Sir Walter Scott’s baronial mansion, Wordsworth’s cottage in the Lake District, the Brontë parsonage, Shakespeare’s birthplace, and Freud’s office in Hampstead. Traveling, as much as possible, by methods available to Victorians—and gamely negotiating distractions ranging from broken bicycles to a flock of giggling Japanese schoolgirls—he tries to discern what our forebears were looking for at these sites, as well as what they have to say to the modern mind. What does it matter . . .